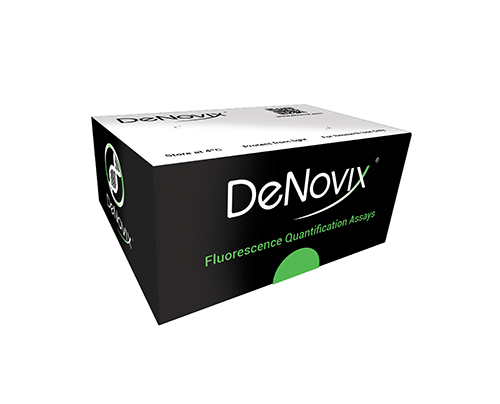 DeNovix introduces a suite of three new double-stranded fluorescence DNA assays with a wide dynamic range and high sensitivity. The new kits are able to accurately measure sample concentrations covering a range of 0.5 pg/µL to 4000 ng/µL, providing a 20X increase in sensitivity and greatly enhanced dynamic range over existing technology. A robust two-point standard curve and simple mix-and-measure assay protocol delivers rapid, error-free set up. Full integration into the DeNovix EasyApps® software, means sample measurement, data analysis, and exporting takes only seconds per sample. Kits may be purchased via web store (U.S.) or a DeNovix global distributor. Kits are available in 1000 assay or 50 assay evaluation size.